“First, you’ve got to want it. A lot of people don’t want to get bad news. If you don’t want to know what’s going on and you don’t make it safe to know, then you won’t know. You’ve got to want it. … The first forecast we had was for a $17 billion loss. And yet when I looked at the charts at the Thursday meeting they were all green, which meant things were going well. At the next meeting one of the leaders was having trouble with a launch of new vehicles and up came this chart that was red. Everybody looked at me to see if I would be OK with that. 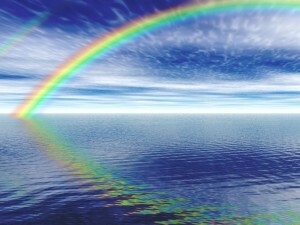 … The next week the charts looked like a rainbow because everybody knew it was now safe to reflect the real situation. From then on, we moved from wondering what the status was to turning the reds to greens. … I’ve been in environments where it’s not safe to share. You can’t improve if you don’t know what the real situation is.” Get Honest Feedback, Alan Mulally (CEO of Ford), Bloomberg, April 22, 2012. I’ve found that it is as simple as that. A senior manager or otherwise an influential person often needs to take the first step at being brutally honest. Honesty, if nothing else, is simply more efficient and is amazing at rocketing a team or organization up to the next level of performance. The trick is for a courageous leader to make the first move. Where is honesty in reporting being practiced in your organization?